When I was an engineer, I thought that I could never manage to study in USA, I am from a middle-class family. Thank God, I did not give up. I went to Top 10 schools in USA for my MS and MBA and earned $ 100K+ seven years ago. 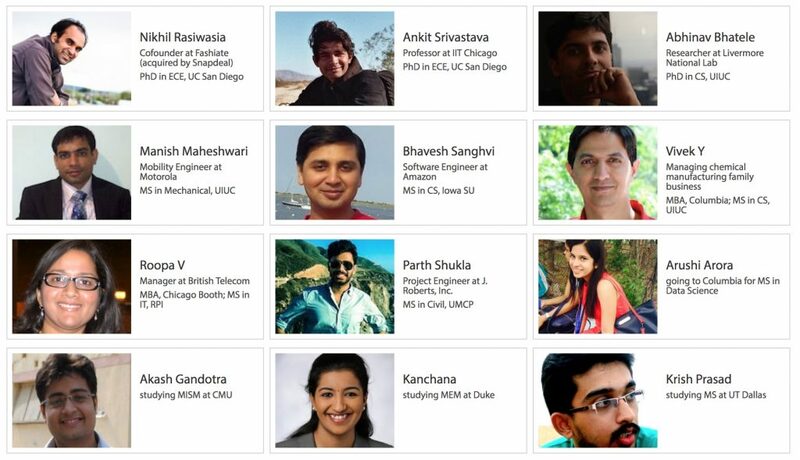 In last one year, I have helped 50+ students go to Top 40 universities in USA. So, I know that studying abroad is for anyone and everyone. Moreover, with a little planning, you can get into your dream universities. Many students have done that and built a successful career by studying abroad – so can YOU. 60,000+ words of not-to-be-missed advice! This is the complete what, how and why of studying MS/MIS/PhD in USA. Learn what it takes to succeed in your applications. How to overcome poor scores, how to contact Professors, how to write SOP etc etc. Understand the right time to apply and avoid costly mistakes. *BONUS – See some winning SOPs! Who can tell it better than people who have gone into TOP schools themselves? MS Book covers the advice from successful applicants from current year, last year and professionals who graduated long back and have envious careers by now. Find out how people have made it to different careers after MS. They started just like you! This is for all engineers. First, it helps you in understanding why MS can be the right choice for YOU. It covers MS/MIS/MEM and PhD applications. And, if you already have an admit, it will tell you what Graduate School is all about and how to get the most out of your education in USA. I had purchased MS Book in Sep 2015. I had doubts, initially, as I had heard about it through a Quora blog. Well, since it was economical and I didn’t see any harm in going ahead with it and I rate it to be one of my best buys of 2015! It helped me a lot in completing my applications on time. 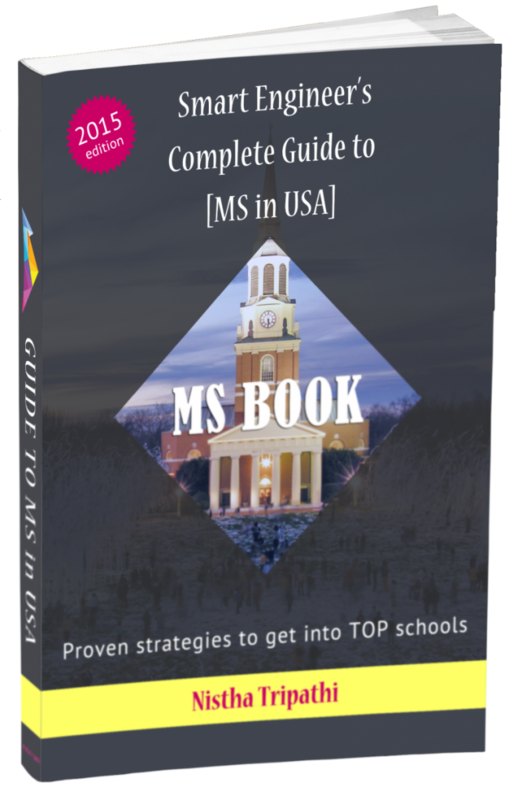 The most comprehensive guide for MS in USA. I remember completing the book in 5 days. Chapters were very well laid out. And the fact its coming from someone who has done it all, it just became something else for me. There is a specific section on how to contact Professors with a template email which was very useful to me. Effective SOP writing canvas given in this book helped me to organize my SOP well!